It’s a pupil free day on Monday, October 8, as Southern Hills Christian College staff will be attending various professional development. 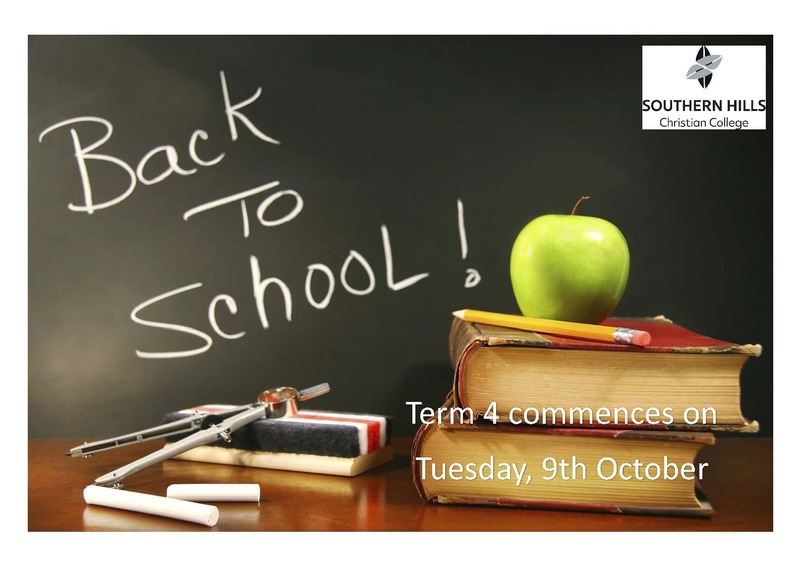 We look forward to seeing you all on Tuesday, October 9 for the start of Term 4! !